Psychosomatics involves an important approach to medical care that is connected to a holistic theoretical perspective as well as a practical guide to clinical work. To this effect, this paper briefly reviews psychosomatics within the framework of holistic theory and care, which happens to be one of the key concepts of person-centered medicine (PCM). Next, the paper considers the basic notions of person-centered medicine and the way this has evolved historically from ancient civilizations through modern medicine. The conceptualization of PCM is further approached from a systematic study organized by the International College of Person Centered Medicine. 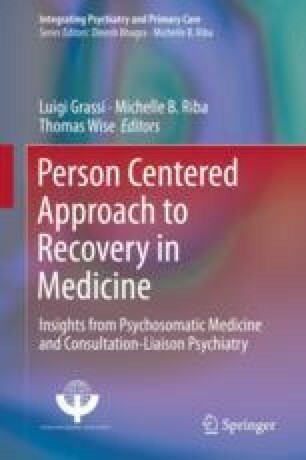 After that, the paper focuses on person-centered psychiatry in general and then more specifically on person-centered diagnosis both as a theoretical model and as a practical guide. WMA Declaration of Geneva 1948. World medical association international code of medical ethics. Pilanesberg, South Africa; 2006. www.wma.net. WMA Declaration of Helsinki. Ethical principles for medical research. http://www.wma.net/en/30publications/10policies/index.html.